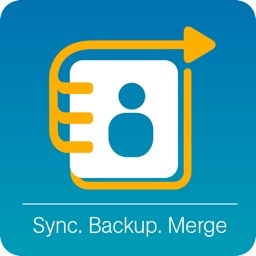 ‘Sync - Backup & Merge Contacts’ is the easiest way to backup and restore your contacts all from your phone without needing a computer. 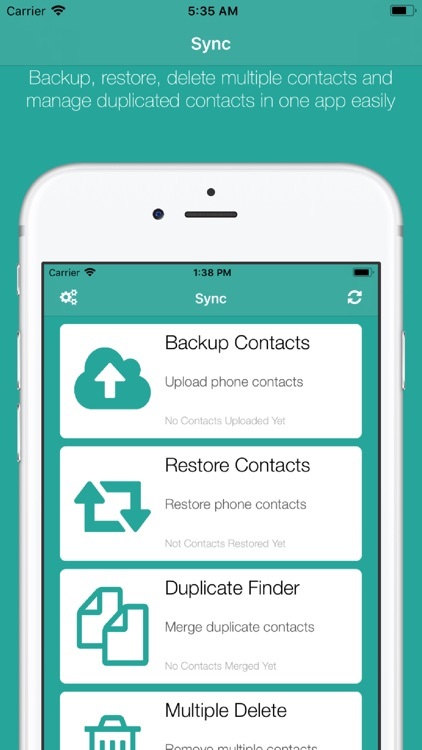 Backup & restore contacts from or to iOS to other smartphones seamlessly without any hassle. 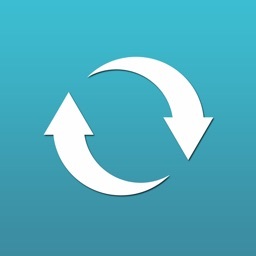 The app will restore contacts from previous backup from backed up vCard files in disk or from cloud. All contacts can be easily restored, merged and backed up from the app. Any other device with this app installed, logged in using same account, will get instant notification to restore newly backed up contacts. You can also delete multiple contacts without a hassle. You can both delete all the contacts or select them to delete selectively. 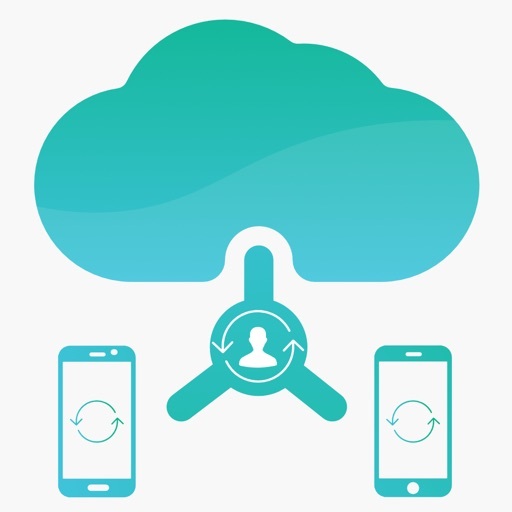 - Easily restore your contacts from any mobile device via app’s cloud. - In App VCF (vCard) export. - Backup all or selectively to cloud. - Backup Contacts as VCF (vCard) or share the contact's’ vCard to another device via shareit, mail, shareit or upload via dropbox, google drive etc*. 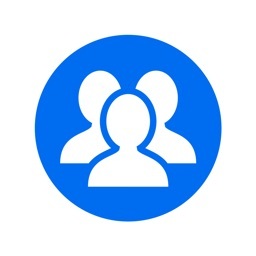 - Merge or replace duplicated contacts. - Get notification on new restores from other devices. 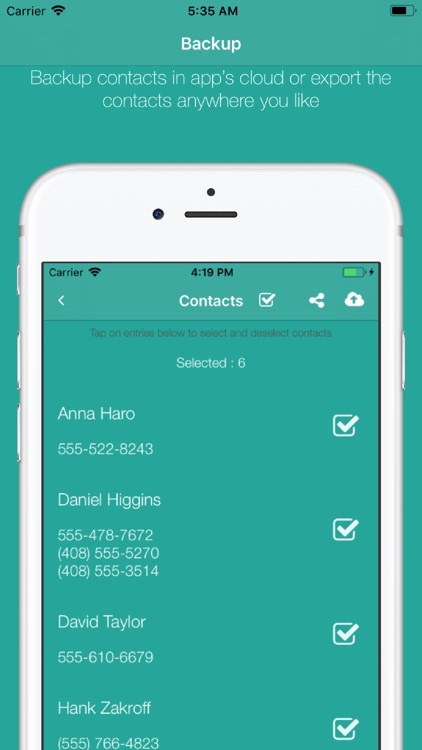 - Delete all contacts or multiple contacts selectively. *Note: To use third party services, they must be installed prior use. - Unlimited backups & restore. But more contacts can increase the backup file size and the processing time. 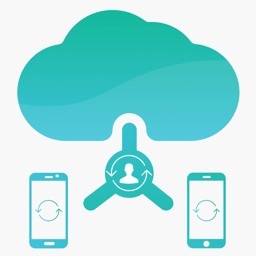 - Backup all or selected contacts from app’s cloud or offline vCard file. - Quickly export your backups to Dropbox, Google Drive, Email. - Save vCard offline for use in other applications or to share with another person. - Easily restore your contacts from any mobile device. - Use during restore through ‘Manage duplicates’ option or anytime you see fit from the main screen of app. 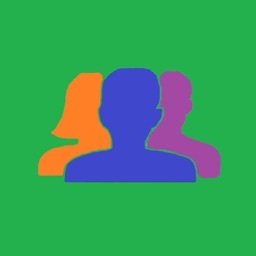 - Find & merge contacts with similar names. 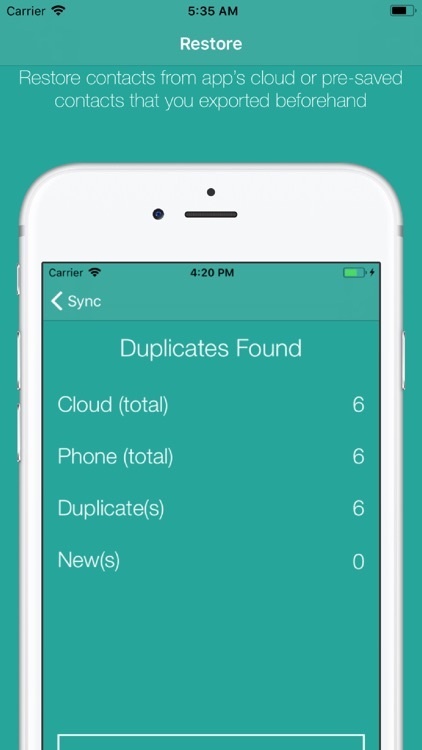 - Find & Merge contacts with duplicate phone. - Can merge any amount of duplicated contacts based on name and/or phone number. - Delete selectively marking the contacts to remove. 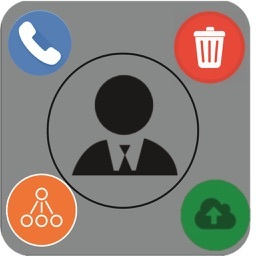 - Smart filters to categorize contacts prior deletion. The app contains Ads provided by Google’s Admob framework. To disable Ads, purchase the premium service once. You can switch the Ads on/off from settings panel inside app. If you use the app’s cloud backup/restore service, please turn off iCloud contact sync from settings menu of your iPhone. If iCloud contact sync is on it might cause the merged duplicated files to appear again after merge. We hope you love our app and make a good use of it to manage your contacts. Download it today and let us know what you think.